Aldeen was ranked the best municipal course in Illinois by Golf Digest in 2009 and rated 4-1/2 stars by 2008 Golf Digest Magazine's Places to Play guidebook. GOLF Magazine calls it one of the Thrifty Fifty. 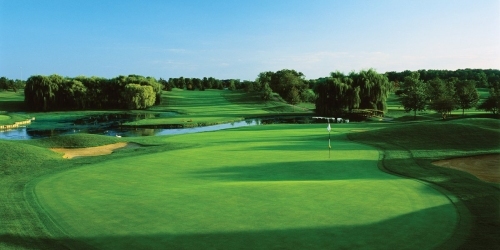 The Aldeen Golf Club has set a new standard for upscale public golf in northern Illinois. For years, they've called Rockford, "Illinois' Holiest City," and with good reason. You can't swing a nine iron around here without hitting a flag stick. And, the flag sticks you hit are stuck into some very fine, very unique, value-packed golf courses. Our green fees are lower than a bent grass fairway. Our value quotient is higher than a Phil Mickelson flop shot. And our convenience and accessibility are outstanding. So welcome to the Real, Original Rockford Region. It's a whole lot of golf heaven, right here on earth.